Today we are going to take a look at a question that we have received from several of the readers here, and that is just how to take the NRA's Basics of Pistol Shooting Course. This new hybrid course was introduced by the NRA in early 2016 as a new way for shooters to receive training. Previously the basic pistol course was all taught in person but the NRA understands the power and importance of online learning. This new course allows that you take the first portion of the class online and complete phase 2 of the course in person with your instructor at the range. The below tutorial will cover how to get started and complete phase 1 of the course. It is a very simple guide and we're going to take you through it step by step. 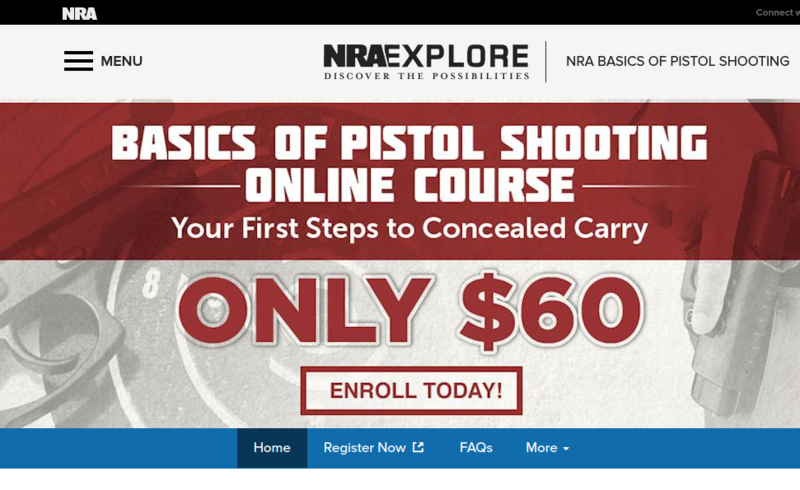 First, open your internet browser and head over to https://basicpistol.nra.org/ and click on the large “Enroll Now” section right in the center of your screen. Next, you will enter a login screen where you can log in to the exam with your NRA credentials. If you don’t have an NRA login already, you can create a username and password on the same screen. After the payment, you will be able to take a look at the course itself. The page itself is what you see directly below. Finally, after that is all completed, you are done with phase 1 of the course. 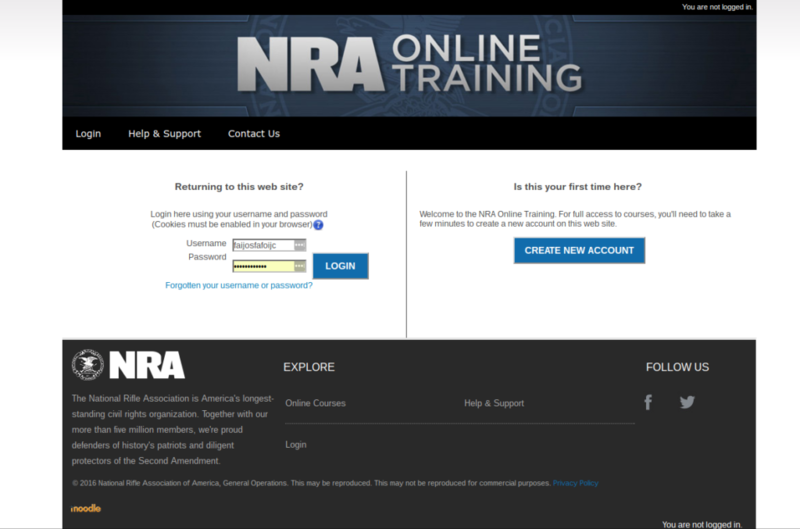 You can search the NRA site for the Phase II portion of the course. Instructors who provide the course list their class dates on the NRA primary site where you can search for courses near your zip code. You will need your certificate of completion when signing up for Phase II of the course.